In the not so distant past your yard was your yard and you rarely ventured into it but to mow the lawn or rake up the autumn leaves. In recent years however that hands off approach has fallen by the wayside as homeowners have sought to integrate indoors with outdoors and get the most from their entire property. This “outdoor living” phenomenon has generated an explosion of interest and we at M&S Architectural are proud to play an integral role in the move toward outdoor living Toronto. Few things provide our designers greater pleasure than the chance to create beautiful, memorable and above all liveable outdoor spaces for our clients. Breaking down the solid, abrupt barriers between interior and exterior space and expanding the living area outward in stages from the house represents a bold reimagining of domestic life and we relish the unique challenges each outdoor living project presents us with. Pergolas of every imaginable shape and size, both projecting from the house and freestanding. These are used to denote space, create shade, provide transitions and more. Archways, trellises, fencing and latticework. Such elements can be used in concert with vining plants like morning glory to add colourful accents and visual counterpoints. Hardscape elements like retaining walls, walkways, waterfalls and more. Slate, granite and even marble flooring in an outdoor kitchen and/or patio provides a sense of timelessness. Built in state-of-the-art sound systems to enhance the atmosphere. When combined with a big screen TV you have the perfect venue to host a big game party. Retractable roofing to provide cover and retain heat when the weather gets chilly. Draw it back on those clear nights to enjoy the stars. Discrete full or partial walls to shield dining areas from prevailing winds. These can also be used to block sightlines and create privacy around the pool area. Property-wide lighting schemes to create atmosphere and focal points and to increase safety. Few things will elevate the ambiance like a thoughtfully deployed lighting scheme. Fireplaces to complete the atmosphere and provide warmth on chilly evenings. Whether single or multi-sided a fireplace creates a stunning focal point. At M&S Architectural we handle every aspect of the project so there’s never any confusion resulting from poor communication between designer and builder. We work closely with our clients as well to ensure that the outdoor living spaces we design and build for them exceed their wildest expectations. 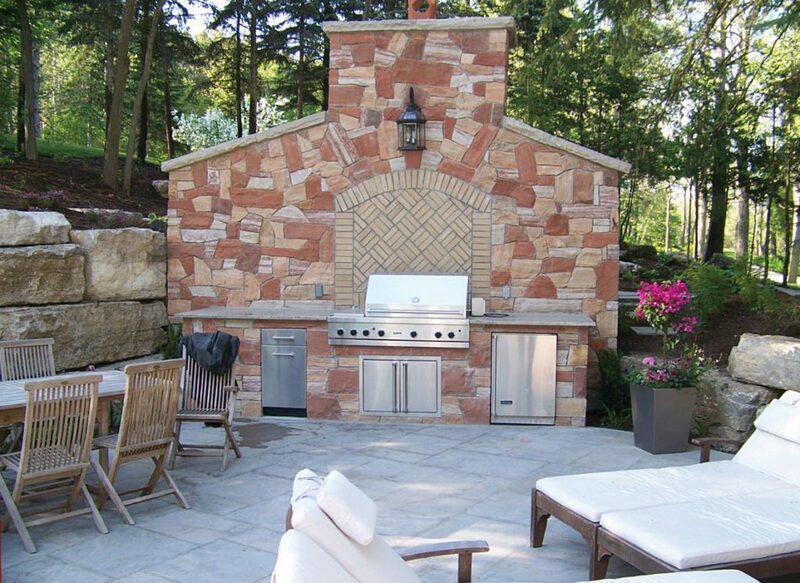 Outdoor living Toronto can be as simple or elaborate as you choose. All you need are some good ideas and the right company to see them through. In Toronto, that company is M&S Architectural Ltd.